MainOpEdsINTO THE FRAY: The Smotrich Plan-A step in the right direction, but.. INTO THE FRAY: The Smotrich Plan-A step in the right direction, but..
Several flaws in MK Smotrich’s otherwise bold proposal will prevent it from achieving its long-term strategic goal: Sustainable Jewish sovereignty over the entire Land of Israel. … I am not talking here about cruel expulsion or the flooding of countries with penniless refugees. The emigration we are talking about is planned, willing, and based on a desire for a better life, by people with appropriate skills for their new country of absorption and the economic ability to make the change. This is not migration on rickety boats, but the very modern phenomenon of organized relocation to countries which provide an opportunity for a better future…- MK Bezalel Smotrich, Deputy Speaker of the Knesset, “Israel's Decisive Plan”, Sept. 7, 2017. Over the last week or so, the idea of funded emigration as a means of resolving the Israeli-Palestinian conflict got a considerable fillip. The impetus for this media flurry was a 30 page essay in the relatively new journal of political philosophy and policy, “Hashiolach”, written by MK Bezalel Smotrich, of the National Union faction in the Jewish Home party—which has three senior ministers in the ruling coalition: Education, Justice, and Agriculture. In principle, Smotrich’s plan calls for abandoning the two-state endeavor, dismantling the Palestinian Authority and extending Israeli sovereignty over all of Judea-Samaria. As for the Arab population in this area, Smotrich distinguishes between those who are willing “to forgo their national aspirations” and to reconcile themselves to living under Israeli sovereignty—and those who are not. With regard to the latter category, Smotrich again distinguishes between two groups—those who will continue to fight against Israeli sovereignty, and those who will not. With regard to the former, he calls for harsh coercive action—far harsher than employed today—to quash any recalcitrant resistance. With regard to the latter—i.e. “those who choose not to let go of their national ambitions” but eschew active resistance against Israel—will “receive aid to emigrate to one of the many countries where Arabs realize their national ambitions, or to any other destination in the world”. Funded emigration: Breaking the taboo? The essay drew considerable media attention and was widely reported in both the Hebrew and the English press. On Tuesday, a conference convened by the National Union faction, reportedly attended by “hundreds” (up to 800 by one account), unanimously approved the proposal. While the short-term political significance of this is unclear, one thing does appear to emerge. The debate on financially incentivized emigration of the Palestinian-Arabs is edging inexorably into the mainstream discourse as a legitimate topic for discussion. Indeed, underscoring this emerging legitimization was the fact that despite it being known that funded emigration would be the central topic at the conference, Prime Minister Netanyahu sent a message congratulating the participants on “dedicating the discussions at this conference to the future of the Land of Israel״ and assuring them—pointedly—that “We are building the land and we are settling it. In the mountains, in the valleys, in the Galilee, in the Negev, and yes, in Judea and Samaria as well”. While it would be imprudent to read too much into this, it would not be entirely implausible to conclude that some of the taboo attached to raising the issue of funded emigration of the Palestinian-Arabs in “polite company” may finally be beginning to dissipate. Of course, there is little new in the idea of funded emigration. Indeed, I have been urging its adoption as the centerpiece of Israeli policy for well over a decade. Likewise, so has former deputy Knesset speaker, Moshe Feiglin. Accordingly, any enterprise fostering public debate on the principle, especially as an alternative to the pernicious prescription for “two-states”, is a positive development. In this regard, Smotrich’s initiative is to be applauded as a welcome step in the right (pardon the pun) direction. Indeed, as I have pointed out, almost ad nauseum, there is no other policy paradigm that can enable Israel to adequately contend with the twin imperatives—the geographic and demographic—which it needs to deal with to ensure its long-term viability as the nation-state of the Jewish people. The need to effectively address these imperatives should be virtually self–evident for if they are not, Israel, as the nation state of the Jews, will become untenable—either geographically or demographically. Or both! Clearly, there is no other non-coercive—or at least non-kinetic (i.e. involving large-scale-violence)—that can produce an outcome in which Israel retains (a) control of the strategically vital territory, abutting and overlooking virtually all its major population centers and vital infrastructure systems; and (b) a sufficiently dominant Jewish population in the territory under its control, so as to preserve the Jewish character of the state. Regrettably, however, as it is formulated, Smotrich’s proposal is marred by several flaws that not only impair its logical consistency and political acceptability, but will prevent it from achieving its long-term strategic goal: Sustainable Jewish sovereignty over the Land of Israel from the Mediterranean Sea to the Jordan River. To his credit, Smotrich gets many things right in his proposal. He is certainly correct in his withering criticism of the two-state approach and in perceptively diagnosing that, by its formal endorsement of this approach, Israel necessarily makes itself appear disingenuous—since it cannot take the actions required to implement its declared intentions without putting its citizens at unacceptable risk. However, the only litmus test Smotrich seems to apply for permitting the Arab residents of Judea-Samaria to continue to live under Jewish sovereignty is a professed readiness “to forgo their national aspirations”. Sadly, this is sufficient to guarantee the eventual and inevitable failure of his plan—especially when this is coupled with his declared intention to permanently—or at least indefinitely—disenfranchise these Arabs. 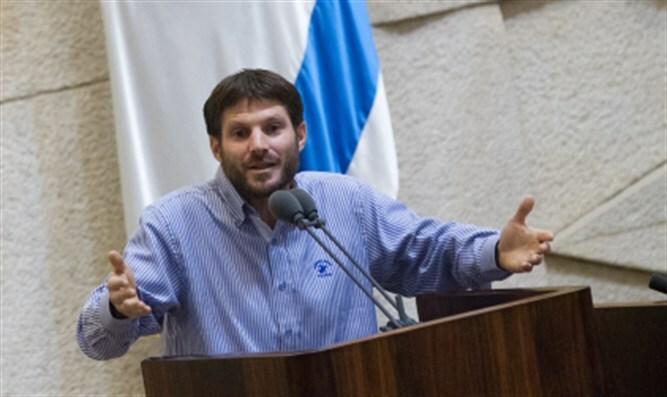 Thus, although he would grant them “the right to vote in municipal administrations which control their daily lives”, Smotrich writes “… the Arabs of Judea and Samaria will be able to conduct their daily life in freedom and peace, but not to vote for the Israeli Knesset”. By this, Smotrich, in effect relegates his alleged innovative blueprint to a regurgitated version of the failed autonomy plan of the late 1970s—with the addendum of possible funded emigration for those unwilling “to forgo their national aspirations” but unwilling to take up arms to achieve them. Smotrich endeavors to justify the rationale for this suggestion by contending that: “This will preserve the Jewish majority in decision making in the State of Israel”. While this claim might be numerically true – it is politically irrelevant, even detrimental. Indeed, even setting aside the clear possibility of purposeful subterfuge on the part of those Arabs professing “to forgo their national aspirations” Smotrich’s proposed measures comprised an unvarnished formula for institutionalized disenfranchisement of ostensibly non-belligerent residents, based on nothing more than ethnic affiliation—i.e. apartheid—making it a manifestly untenable political doctrine. Moreover, by allowing Arab residents the prospect of “enjoy[ing] all the benefits that the Jewish State has brought and is bringing to the Land of Israel” in exchange for formally forswearing national aspirations, Smotrich, greatly undercuts the potential efficacy of his funded emigration option. Indeed, he severely limits the likelihood that anyone other than those showing a commendable, but arguably rare, combination of intellectual honesty, ideological fervor and a commitment to non-violence, will avail themselves of it! But more important—as I have frequently been at pains to point out—the initial electoral arithmetic, while in itself a factor of significance, is not the only crucial issue in ensuring the overall Jewish nature of Israel over time. No less important, arguably more so, is the impact the permanent presence a large Muslim population (even if not a majority) will have on the socio-cultural fabric of the nation—irrespective of who wins the elections. Moreover, as the Israeli government will be largely responsible for the newly acquired permanent, but disenfranchised, Arab population, huge budgetary resources will have to be diverted from current uses to closing the yawning socio-economic gaps that exist between the two sides of the pre-1967 Green Line—inevitably dramatically degrading the level of services currently provided in health, education, and transport as well as in the maintenance and development of national infrastructures. Clearly, none of this is likely to make Israel a more inviting abode for Jews abroad, nor an attractive location for retaining significant segments of the Jewish population currently resident here. Indeed, it is likely to have a chilling effect on Jewish immigration (Aliyah) and a stimulating one on Jewish emigration (Yeridah), potentially upsetting any optimistic demographic assessments. 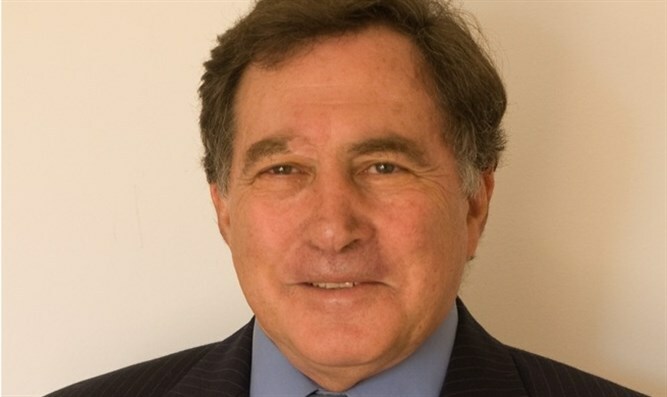 Accordingly, without some clear mechanism as to how such indeterminate disenfranchisement is to be addressed and eliminated, Israel is likely to face an unenviable position of a growing segment of the population, stripped indefinitely of political rights and largely alienated—perhaps even latently hostile—to the defining Jewish nature of the state in which they reside. Hardly a formula that bodes well for the future! But perhaps one of the gravest problems with Smotrich’s criterion for offering the Palestinian-Arabs permanent residency under extended Israeli sovereignty—i.e. professed forgoing of national aspirations—is the implied assumption that this will be not only be sincere, but long-lasting. This is clearly—to be charitable—a tenuous supposition to base such a far-reaching strategic measure. For even if one accepts that such aspirations are initially forsworn in good faith, there is—and cannot be—any assurance that this will not change for a myriad of reasons—from changes in personal circumstances, through outside incitement, to derision from one’s children. Indeed, even if such willingness to forgo national aspiration proves durable with the current generation—how can it be guaranteed that similar compliance will be undertaken by the younger generation? Accordingly, Smotrich’s formula is more likely than not to have two detrimental results. Firstly, relatively few Palestinian-Arabs are likely to avail themselves of the funded emigration option—because of his invitation for them “enjoy all the benefits that the Jewish State has brought and is bringing to the Land of Israel.” Then at a later stage, Israel might find itself with a permanent Palestinian-Arab population, no longer willing to forgo their national aspirations, greatly empowered having enjoyed “all the benefits the Jewish State brought them”…and now “chafing at the bit” to take it over. Funded emigration is an essential policy tool for Israel, but for it to be effectively wielded it must be incorporated into a strategy that correctly conceptualizes the conflict between Jew and Arab as a conflict between irreconcilable collectives, from which only one can emerge victorious. Its goal must be a drastic reduction of the Arab presence in sovereign Israel, not as Smotrich suggests, a conditioned maintenance thereof. It must comprise a system of enticing incentives to leave and punishing disincentives for staying - not, as Smotrich suggests, incentivizing benefits for those remaining in the Jewish state. Finally, while it must differentiate between a belligerent enemy collective and non-belligerent individuals who may be members of it, the only binding proof of such non-belligerency must be acceptance of the funding for irreversible relocation. Only then will the concept of funded emigration be able to fulfill its required role i.e. safeguarding the existence of the Jewish nation-state…and enhancing the future of non-belligerent Palestinian-Arabs.